my usual gorgeous self the part, so I divested myself of my comfy onesie in favour of my chef's whites. 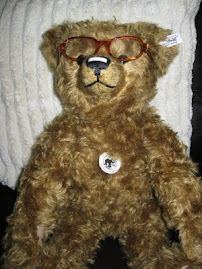 Goodness I do scrub up well, have you ever seen such a handsome bear as me? I whisked together the oil, eggs and sugar. Then added the flour and bicarbonate of soda, mixing until just combined. Finally I added the mashed banana and chocolate chips. I cooked -the muffins, not me - in the oven at 180 degrees, for 25 minutes. 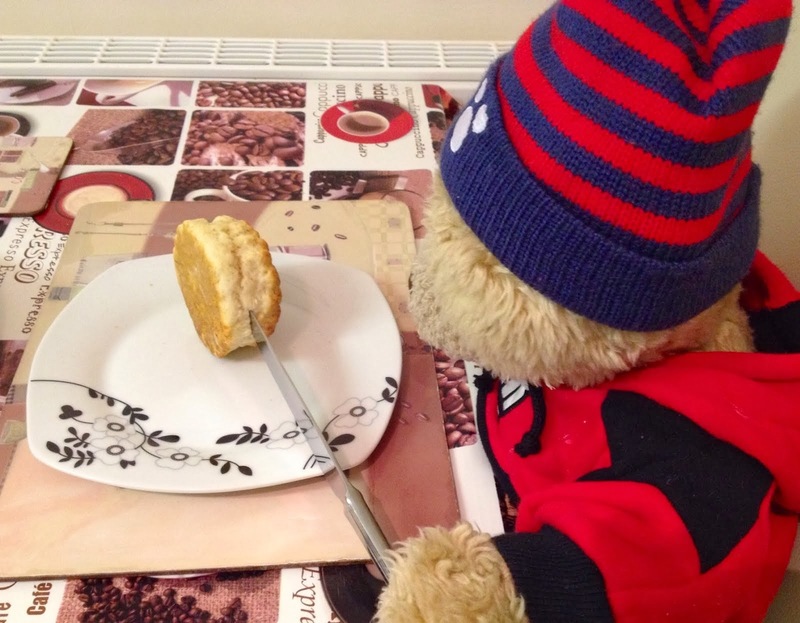 I checked the muffins were completely cooked by inserting a skewer into the middle, I was tempted to just stick my paw in, but thought it might get a bit burnt. I placed the muffins on a cooling tray, oooh my kitchen smelled like a little bit of heaven. One for each paw, mmm. Yummy looking muffins, Podgy - and you do look very smart in your chef's gear. Make sure you don't expand out of the waistline with all those chocolate chips! I wish I could scratch and sniff the screen - yum! Is there no end to the talent of the bears?